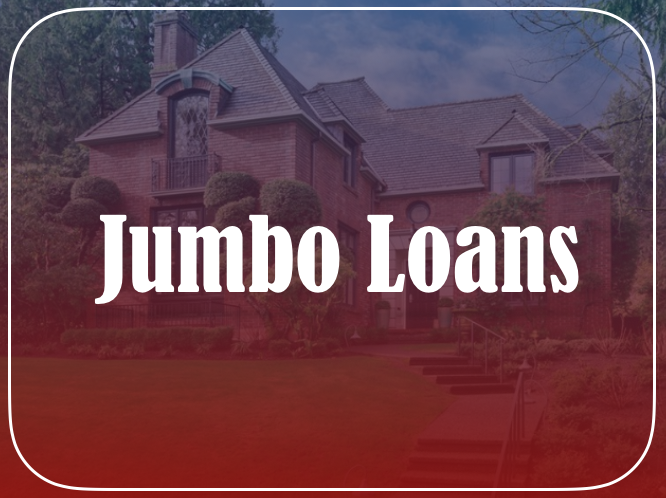 Jumbo loans are loans that make it possible for the borrower to buy a high-priced or luxury home because they allow the borrower to receive large loan balances. Compared to high-balance loans, jumbo mortgage loan amounts are higher. They have more demanding requirements than the smaller, conforming mortgages because they are larger than the usual “conforming” loan limits. In the U.S., lenders package mortgage loans into investment bundles to sell and lend to both Fannie Mae and Freddie Mac. These two companies, which drive the housing market, provide a secondary market for mortgages. In effect, Fannie Mae and Freddie Mac, aligned with the FHFA, have certain guidelines and significant loan limits that conforming loans adhere to. In all, these types of loans are not designed for borrowers to buy houses they cannot afford. Not all jumbo loans are the same. In fact, depending on the amount and lender, they vary substantially. Private lenders issue jumbo loans by holding these loans as investments and setting their own rules of approval. In other words, the borrower’s minimum credit score, how much cash reserve borrowers need, and what institution wants to see into the borrower’s credit history can all vary widely. Needless to say, the borrower, in some cases, may be able to get better interest rates with a non-conforming loan. In order to qualify for a jumbo loan, the borrower must be under the loan limit in their area. Loan limits can change as well. For instance, the FHA recently announced that the loan limits for conforming loans would change in the year 2018. In effect, the loan limit has increased to $453,100 from $424,100 for low costing areas. However, jumbo mortgage loans can exceed these limits especially because they do not follow Fannie Mae and Freddie Mac guidelines. In high costing areas such as Alaska and Washington D.C., the FHA’s loan limit ceiling has increased to $679,650 from $636,150 on the other hand. Some limits are even higher in cities in California, Alaska, New York, and Hawaii. A borrower may still be able to obtain a conforming fixed-rate mortgage or adjustable-rate mortgage for up to $679,650. Moreover, FHA loans have limits up to $721,050. Nonetheless, taking out a jumbo loan translates to signing a larger debt load than most other mortgage loans require. Jumbo loan requires a higher down payment with minimum of 15-30% in some cases. Still, the industry is seeking a small increase in the availability of loans with 5-10% range of down payments. Nonetheless, such low down payments for jumbo loans come at a price. To elaborate, if a borrower makes a small downpayment, the lender will increase their interest rate accordingly. As a general rule of thumb, the more a homebuyer puts down, the better interest rate they are qualified to receive. Nonetheless, jumbo loans interest rates are not necessarily higher than smaller conforming mortgages. In fact, they may be similar or even better. There may be two factors that may be responsible for jumbo loan interest rates. There is a healthy market for jumbo mortgages with investors. In addition, the market for jumbo loans is competitive. These two factors drive the interest rates down or below that of conforming mortgages. As mentioned above, jumbo loan lenders have slightly different requirements. Nonetheless, if more money is borrowed, lender may want more assurance regarding credit worthiness of the borrower. After all, the lender is backing the loan. Therefore, lenders look for a FICO credit scores of at least 700 although others may accept a minimum of 680. Debt-to-income rates are also considered so that the lender can verify that the borrower has not been over-leveraged. Typically, lenders cap the borrower’s debt-to-income ratio at 40-43% with a 6-12 months’ worth of reserves in the borrower’s bank account. For jumbo loans, each lender may have specific things they are looking for. More laborious documentation may be required revealing more sources of income or more complex sources of income. For example, a self-employed homebuyer may have to provide two years of tax returns. After all, some lenders may be looking for certain signs of strong credit on the borrower’s credit report. In addition, if borrowers do not have a mortgage, the bank wants to see a year’s worth of rental records to show a pattern of managing household money. It is common for a borrower to submit their tax returns, W2 Form, and even 1099 to the lender. More complex income analysis for jumbo loans is not unusual. If you are looking to purchase a new home, jumbo loans are the loans that you should look into. In addition, it is important to note that majority of jumbo loans do not require private mortgage insurance. Hence, when the buyer makes a down payment of less than 20%, the lender may adjust the rate to cover costs of self-insuring the loan. Furthermore, our downpayment assistance program can provide assistance to new homebuyers with mortgage costs. Our competitive rates, efficient services, and talented team can help ease the process of purchasing a home. We like to make sure our clients are well-informed and educated every step of the home buying process. Our excellent, quality services are reflected on our client’s happiness and confidence upon closing a deal. To find out more information about FHA loans and how we can help, contact us at (818) 322-5626.